Regardless of the language you're learning, you often get the same suggestions for the best ways to learn. Aside from just studying vocabulary and grammar, using media in the language is often suggested. Over the next few days, we'll be looking at how you can use various kinds of media to help you learn a foreign language, starting with print media. 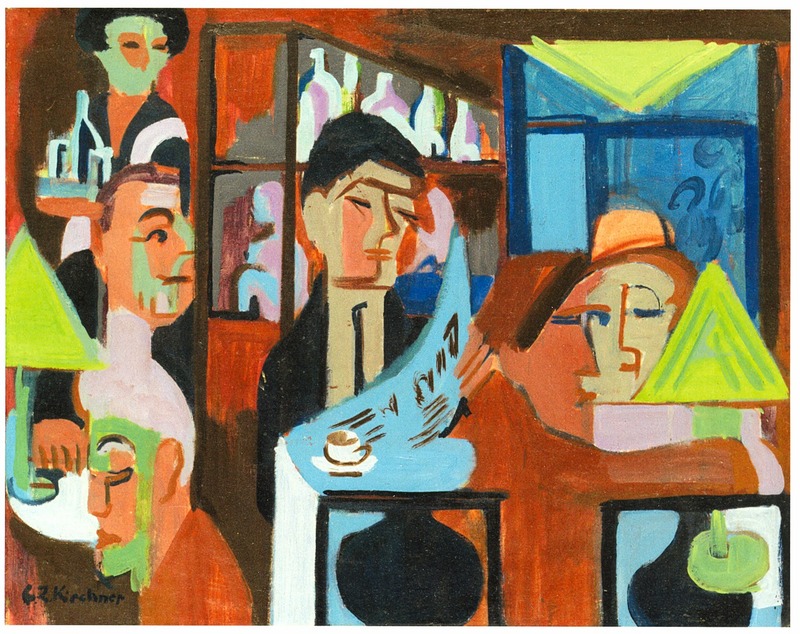 Ernst Ludwig Kirchner's "Café in Davos". Since most newspapers are published regularly, they are an almost limitless resource of opportunities to learn a language. Reading a newspaper in the language you're trying to learn is a great way to keep up-to-date with the news and even see differences in viewpoints. As long as you live in a moderately-sized city, you should have access to a shop that stocks foreign-language periodicals. Just like newspapers, magazines are regularly published, albeit not as regularly as newspapers. However, magazines come in all shapes and sizes and deal with a wide range of topics (there's even an entire magazine dedicated to sheep!). You'll find learning a language much easier if you're interested in the subject being covered. Print media is great for improving your reading and comprehension skills too, as you can always look up any words you don't understand, plus pictures often help provide context to stories. For the more advanced learner, books are a fantastic resource. When you think you've plateaued, you should pick up a book! Reading the foreign-language versions of books you've already read is a great way to challenge your comprehension and discover plenty of new words that you might not be familiar with yet! Which is your favourite way to learn a foreign language using print media? Leave your hints and tips in the comments below! We'll be back on Monday with a few other forms of media that can aid your language learning adventure.